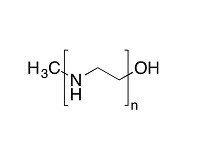 Polyethylenimine, Linear, MW 25000, Transfection Grade (PEI 25K) | Polysciences, Inc.
PEI 25K is a powerful, trusted, and cost-effective transient transfection reagent. In HEK293 and CHO expression systems, PEI offers consistently high gene expression on a wide scale (96 well plates up to 100 L bioreactors). Each year, more researchers and companies turn to Polysciences PEI to gain a critical edge in their work. Relative to most other options, using PEI to prepare transfection reagents in-house can offer as much as a 40% reduction in total transfection costs. hot water, cold water at low pH, methanol, and ethanol.